Juliette Mary DiBenedetto, 88, passed away peacefully on Monday, August 7, 2017. She was born November 28, 1928 to Valeda and Albert Bourque in Waterville, Maine. She was one of eight children. 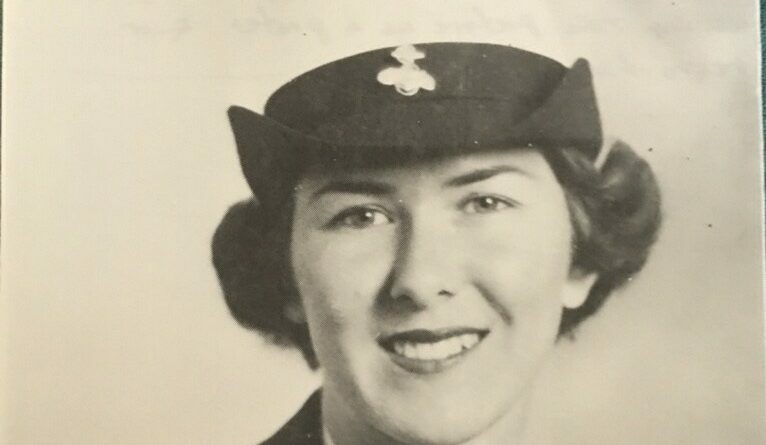 She left Waterville in 1951 to serve in the navy as a Wave. While in Norfolk she met her husband of 49 years, Pietro DiBenedetto, who preceded her in death. Juliette was a resident of McLean, VA for 52 years. She had moved to Ashby Ponds, a retirement community in Ashburn, VA from 2010-2017. She was dedicated to her family as a wife, mother, and grandmother to 8 grandchildren. Along with Pietro, she so-owned and was a Broker of C21; Magruder and DiBenedetto Real Estate Company, which operated in McLean until 1997. Juliette was a Million Dollar Agent, having built a large client and referral business long before the internet and today’s technology. In her leisure time she enjoyed playing Bridge (and winning) throughout her life. The family was an early member of Tuckahoe Recreation Club and remained so for almost 40 years. She and her husband were actively involved in the swim team while their children participated, until aging out. It was there that she could be found doing her daily laps or squeezing in an afternoon of Bridge. She is survived by her brother Norman Bourque, her children; Bill DiBenedetto, his wife Karen and 3 children, Melissa, Greg, and Stephanie; Lucia DiBenedetto, her husband Scott Mason and 4 children, Rachael, Lisa, Rebecca and John; Joseph DiBenedetto, his wife Michelle and 1 child, Lexi; Maria Ballard and her husband Jon. She will be interred at Arlington National Cemetery at a future date. Details may be found at colonialfuneralhome.com.